When downtime happens, the statistics speak for themselves. So what can your company do to prevent unnecessary failures and significantly decrease the length and frequency of those that do happen? 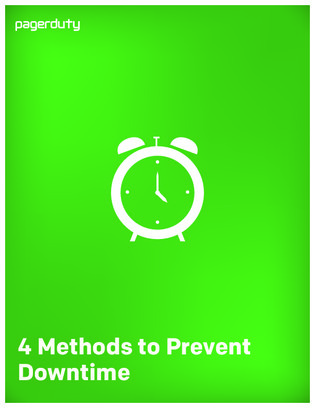 Inside this guide, discover four industry best practices you can implement to prevent downtime in your systems, decrease the overall amount of downtime that impacts your customers, and begin to take proactive measures to prevent downtime, instead of simply reacting to outages as they come.